White Glove Detailing is a local, family-owned and operated, and fully equipped mobile detailing business servicing the Treasure Coast. Service areas include: Port St. Lucie, Stuart, Jensen Beach, Sewall’s Point, Palm City, Hobe Sound, Vero Beach & Ft. Pierce. We are a completely self-sufficient mobile auto detailing service and are equipped with our own water and electric, so we can come to you anywhere. We service all types of vehicles: cars, trucks, motorcycles, boats, etc – whatever moves you! The owner, Chris Moleiro, is a Master Detailer who has been professing his trade since 1999. His passion for rejuvenating your vehicle shows through all of his work, which is why your satisfaction is guaranteed. Licensed & insured. White Glove Detailing will get it done the right way, the first time! Moldy, chalky white paint restored to glossy, smooth bright white finish. Nice used car trade in! It's now virtually spotless 😉 you can check out Enterprise used car sales in Fort Pierce for great deals!! Looking for a gift for that special someone? Give them that "brand new car" feeling without taking out a loan! 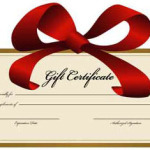 Get them a Gift Certificate from White Glove Detailing! We can mail it to the purchaser or directly to the recipient - your choice. Call 772-359-7546 for details. Why should you call White Glove Detailing? Click here to find out!